Rotherham boss Paul Warne is satisfied that he can call on his squad to fill the gap left by Will Vaulks' three-match suspension. 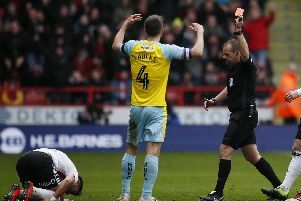 The Millers midfielder was shown a straight red card in Saturday's South Yorkshire defeat to Sheffield United and must now sit out three matches. Vaulks has been an important player for Warne's side this season, but the boss is happy with the options at his disposal. "You live off your squad, you don't live off your 11,” Warne said ahead of a midweek trip to QPR. "Will is going to be out of the team, which is a blow, but it allows other people to step forward. I don't have a massive issue with that." Warne could have another selection issue after defender Clark Robertson suffered a hamstring injury at Bramall Lane and he is a doubt for the Loftus Road trip. "Hopefully he will be okay for Wednesday but I would have thought he is a serious doubt," Warne added. 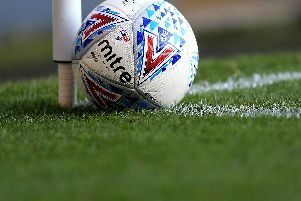 Results of the teams around Rotherham in the relegation battle were mixed on Saturday, given four of them were in opposition against each other as Bolton beat Millwall and Reading were winners against Wigan. The Millers are still occupying the final relegation berth and while their survival fate will ultimately be decided by putting some wins on the board, Warne was pleased that the scoreline did not get away from them against a rampant Blades side. “I was proud of how they played,” Warne said. “I know Rotherham fans want to see us attack and score but we could have ended up 3-0, 4-0 or 5-0 down. “Sheffield United have beaten teams with 11 men by those scores here this season. The nicest moment of the game came in the 74th minute when all four side of Bramall Lane stood to applaud Joan Stewart, the late wife of Millers chairman Tony, who sadly passed away last week. "Yorkshire is full of good football people," said Warne. "It is a hotpot of football and excitement. But the people, to their credit, know that some things are more important. “Everyone was clapping, including all the coaching staff and subs," Warne said. "That was very respectful. "As far as derbies go, this is a friendly derby.